The age of Smart Home is only just blossoming, yet already it has produced incredible technology that enables unprecedented control over the home, which has shifted the direction of the human/device relationship. 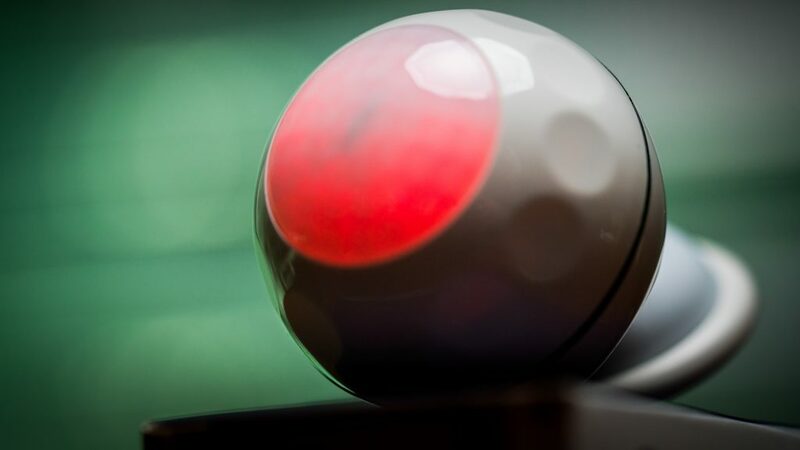 Eliminating the barrier of time and space to control device functions, IoT gadgets make the vision of interconnected personal networks operating autonomously a reality (without the fear of a system takeover like Disney’s 1999 Smart House). Out of all the impressive feats like weather-based autonomous irrigation, location-triggered temperature programming and voice assistants to control any household electronic device, the greatest achievement of Home Automation is the incredible control that Smart Home security can provide for the average individual. Beyond the fancy parlor tricks of controlling devices via voice command or changing the color of LED bulbs, the crux of Smart Home power lies in the advanced product control. The greatest exemplar of this control is Smart Home security, which is the collection of devices that enable users to have greater awareness about what is happening at their home when they are away, and having tools to react. What first comes to mind when most people think of Smart Home security (and really home security in general) are the “hard” security measures for keeping burglars at bay. Things like smart surveillance systems and smart locks jump to the top of most lists, but when it comes to guarding the home against all threats automated devices take it a step further to protect against natural hazards as well as human threats. Smart Home security isn’t so much a “one product, one solution” kind of thing as it is the idea of a fully-connected system with several devices all working together to form a strong network of protection for the home. How Does Smart Home Security Work? The cornerstone of any Home Automation device is the coexistence with a smartphone app, which enables control of various functions and communication with the device itself. From the smart security perspective, this app interface is vitally important to the utility of the product itself and holds the real value for providing security. Smart surveillance for example, enables users to monitor their homes from anywhere not only in live-view but also by receiving mobile alerts when motion is detected. Since most people wouldn’t be monitoring a video feed non-stop, this is a key element to the success of delivering practical remote control. 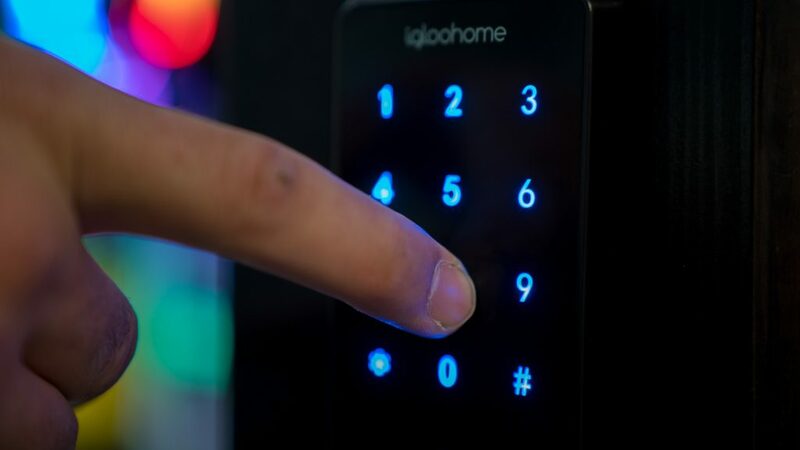 On the basic level, all Smart Home security devices can operate in a one-to-one manner like this, with users checking individual apps and monitoring single devices like locks, cameras, lights and sensors, but the next level of Home Automation is far more intriguing. With any smart device, compatibility with the current ecosystem is a key concern, so ensuring that the protocol (Wi-Fi, Zigbee, Z-Wave, HomeKit) is aligned is the first box to be checked. Once compatibility is confirmed, devices can be networked together to perform advanced actions based on inputs from one another (like flashing the kitchen lights when the doorbell camera detects motion between 6pm-11pm), keeping you in control of your home environment. The hack to protocol compatibility is IFTTT (If This Then That), which enables complete control across not only various protocols of smart devices but also integration with a variety of non-device apps. With IFTTT users can create highly customized strings of events that can act as advanced security measures for protecting the home. In an IFTTT household, users can set a “digital trip wire” to go off when motion is detected when nobody is home, engaging multi-room lighting, doors locking, music playing, and blinds closing all while alerting the user with mobile notifications. Beyond the day-to-day control Smart Home security devices give residents over their homes, the transition to smart devices for home protection democratizes the market and puts the power in the hands of the user to determine their own level of protection. This is a drastic departure from previous home security models that operate via alarm companies charging a slew of fees to set up and maintain coverage, locking users into a contract and dictating the rules of engagement. With Home Automation, security can be as robust or basic as users care for, and customized to their specific use case. There are also professional options for homeowners looking to entirely outfit their home from floorboards to rafters with high-level Home Automation security devices, but at the end of the day the power is with the owner, not a third-party. With the low barrier to entry for the world of Smart Home devices, users can dive in from any segment to begin exploring the enhanced control and functionality. When talking about Smart Home security though, there are a few areas that rise to the top of the priority scale. 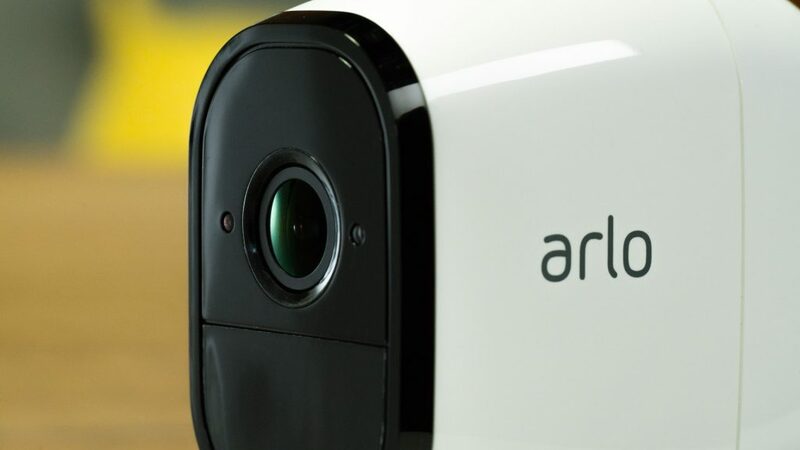 Unlike surveillance systems for businesses, smart surveillance options for residential use are far sleeker, smaller, and more cleanly blend in with the home aesthetic. Some models operate completely wirelessly with rechargeable batteries, while others are wired for power. Considerations for video feed resolution, indoor or outdoor weather rating, camera count, and whether or not a NVR (Network Video Recorder) is used for storing footage all come into play when selecting the optimal solution for your specific use. Specific features vary from brand to brand, however some that are common to most smart surveillance solutions include push notification settings, motion detection, infrared (IR) capabilities for night vision filming, “active” zones (where you can select specific areas of the video feed to not trigger alerts when motion is detected) and motion-triggered video recording. While all of these are critical components to having eyes on your property when you can’t be home, for me the most important characteristic for smart surveillance is a reliable app that can alert me when motion is detected and show me the source. When it comes to resolution, I’m of the belief that a good 720p is sufficient for quick viewing on my phone to see activity, and captures enough facial or body detail of visitors in the event of a security concern. 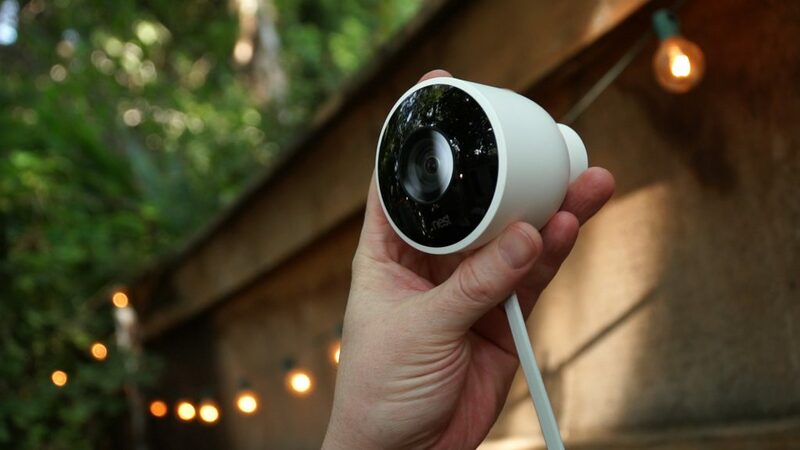 Brands like Wyze Cam, Nest, Arlo, EZVIZ and Blink among others are pushing out innovative models that integrate seamlessly with daily home life and deliver fantastic utility. Smart Access Control is the umbrella covers all areas of entry into a home: doors (including garage doors), windows and gates. Common smart devices that operate in this field are smart locks, smart doorbells, smart garage door controllers and smart window/door sensors (also known as open/close sensors for use in other areas of the home). One of the most innovative smart access control technologies that has had explosive popularity of late are smart doorbells, which (aside from acting as a basic doorbell) have video capabilities for remote viewing, motion detection with video recording, and two-way voice communication. Not only is this a great tool for providing greater visibility for who is coming and going— especially useful for keeping an eye on packages— but a common trick for burglars is to first ring the doorbell to check if someone is home before striking. With the ability to remotely “answer” the door via voice from anywhere, the weakness of an empty home is no longer an issue. While the idea of remotely unlocking doors might not appeal to (or even terrify) some, smart locks provide far greater utility than simple lock and unlock functionality. 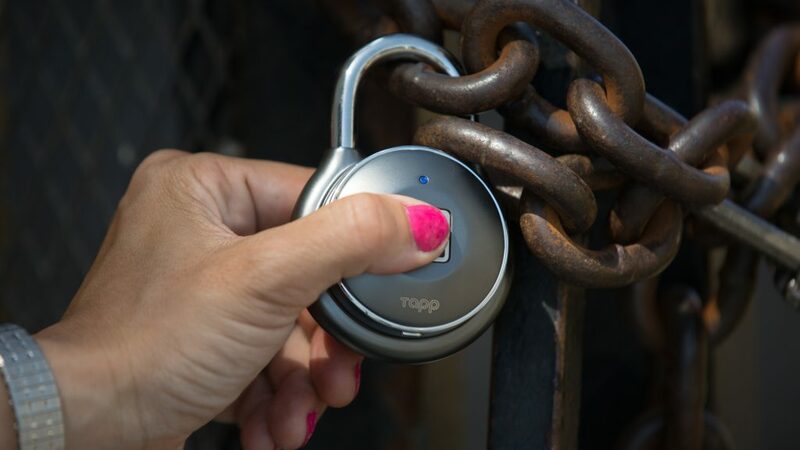 Smart locks, either as standalone padlocks or for door use, provide owners with a live use log in the app for every time the lock is used, to keep track of who is coming and going. In most cases, smart locks also allow for users to set up multiple key codes for visitors remotely, which comes in real handy when family and friends come to visit during the holiday season. Smart garage door openers are not nearly as popular as some of their other nifty counterparts, however they serve a very unique purpose that helps ensure you never leave the home wondering if the garage was left open. Smart controllers send notifications to the app if the door is left open for an extended period of time, and many pair with Amazon Alexa or Google Home to enable voice control. Door and window sensors are nothing new, but when paired with a Smart Home security system they act as another way to protect the home from unwanted access. With automatic push notifications for use, users can have instant awareness if a door opens when they are gone, or a window is left open. These sensors can also be repurposed to anywhere in the home that has an open/close function like drawers or cabinets, so privacy and control (think that liquor cabinet when the kids are back home from college break) is maximized at all times. A few brands who are popular in the smart access control space are Nest, Yale, Kwikset, Ultraloq, Fibaro, Garadget, Nexx Garage, August, igloohome and Lockey among many others. Believe it or not, lighting is actually a preventative security measure— many times crooks looking for easy money won’t bother with a home if it has lights on. 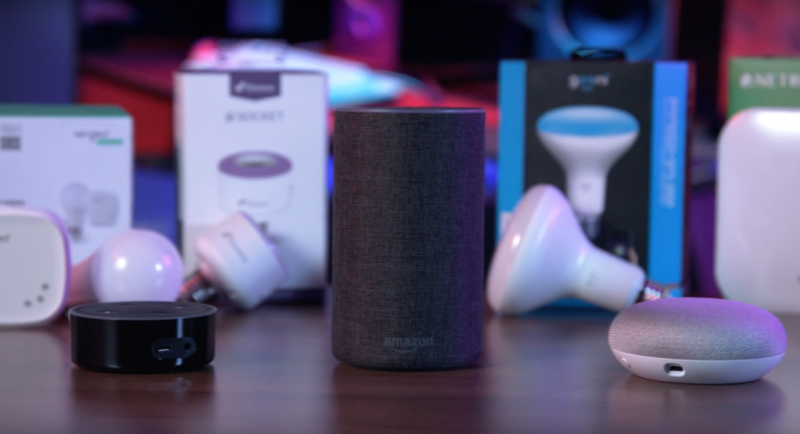 Smart lighting allows users to not only remotely operate lighting via phone (or voice with Alexa and Google Assistant), but also set illumination to a variety of schedules for operation to give the appearance of a full house when nobody is home. Smart LEDs also have the ability to work side-by-side with other devices to help relay information to residents, like flashing red when a door is opened or green when motion is detected on the surveillance cameras. 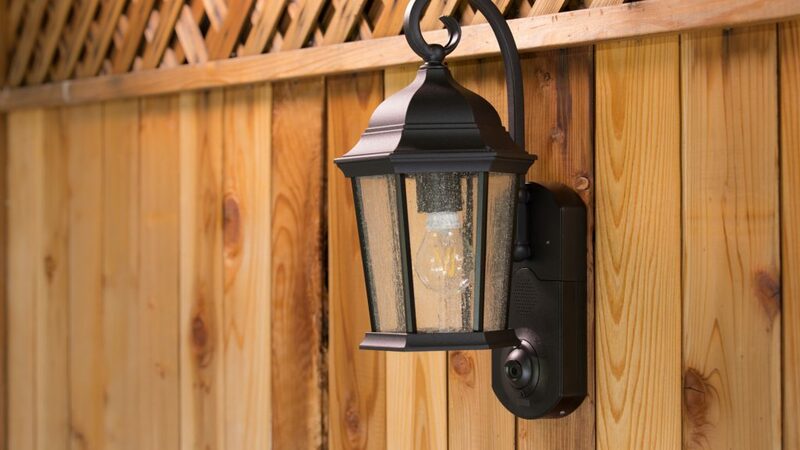 Relatively newer devices like smart security lights tailored for outdoor use take the motion-detection light function to a new level with the incorporation of video surveillance capabilities. Devices like the Maximus or Ring smart flood lights act as standard motion-activated security floodlights, with the ability to capture video clips of triggers and customize the light settings. Similarly, Maximus has designed a series of unique smart security lights aimed at replacing traditional porch lights, packaging up all the same smart functions in a covert and appealing way that makes them a favorite of mine (read the review here). For those not looking to replace bulbs or add LED strips, smart plugs offer similar functionality for scheduling, remote operation and device compatibility for use on lamps or other devices. 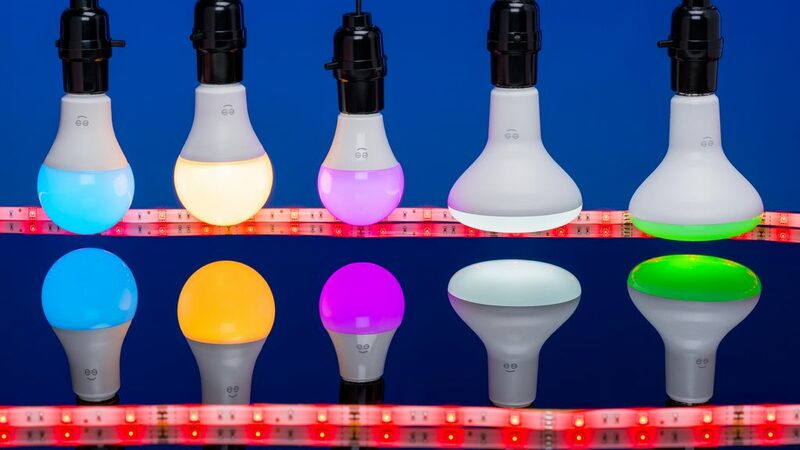 The smart LED and lighting space is one of the most crowded out of all the verticals, but key brands to keep an eye out for are Philips Hue, Maximus, Ring, Yeelight, Geekbes, Geeni, Lumenari, Sengled, TP-Link, and iDevices to get your feet wet. The final piece to the Smart Home security puzzle is the one that fits into every other segment: sensors. There are a variety of sensors that can measure everything from temperature to illumination levels, but from the security angle we are looking at motion sensors, water leak sensors and smoke/CO sensors to provide protection for the home. As a standalone, smart smoke and carbon monoxide sensors are largely the same as the “dumb” ones that we’ve all grown up with, however the key differentiation is the ability to link them up with other devices (think flashing lights in the bedroom if smoke or CO levels are detected) and receive mobile alerts for changes in the room status. This is vital to getting the jump on a potentially devastating fire if the is an early warning and you can call the fire department from miles away. Motion sensors are built into many other smart security products, but as individual devices they can be set to trigger strings of events based on detecting activity in areas where there should be none (think of these as the new-wave trip wires from Home Alone, but without the booby traps). Motion sensors can be paired with smart lighting and locks to provide a comprehensive security solution to set programs into action when unwanted visitors come around. 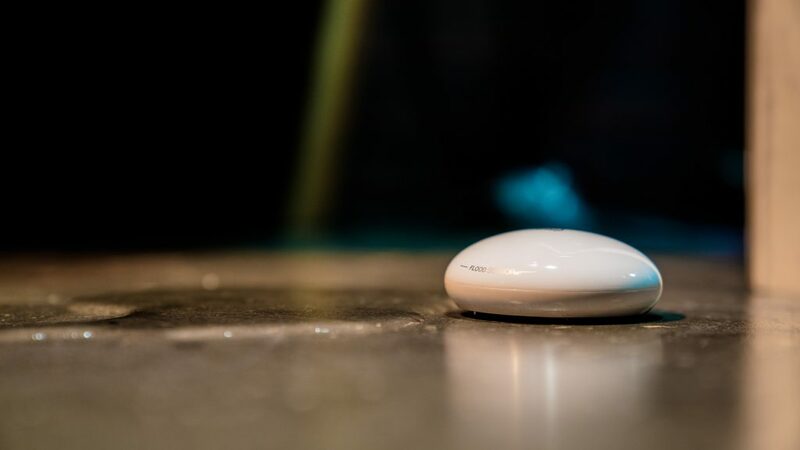 The big sensor segment that doesn’t get nearly the attention it deserves is the smart water leak detector niche, which has massive value to anyone living in a home. 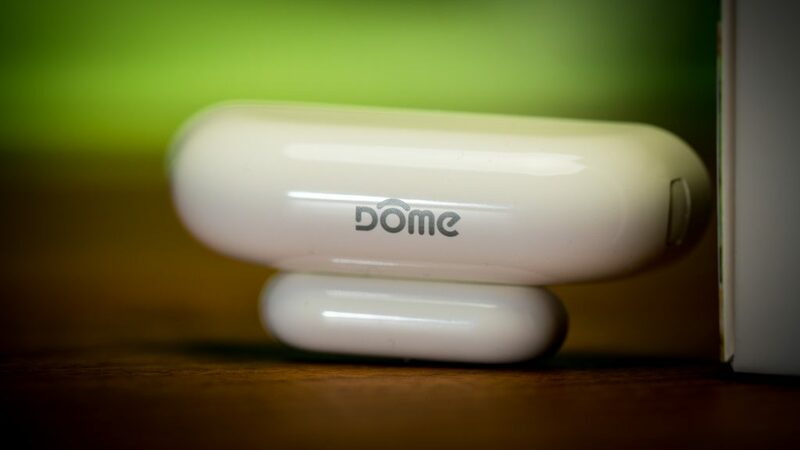 These nifty gadgets are mostly compact and discrete, and if you’re lucky you forget about them even existing. When they do come into action though, they are worth their weight in gold and alert residents to water where it shouldn’t be. Under a sink, near a water heater, next to a water main— wherever there is a high potential for a leak, a sensor has a home. Not only do these deliver instant notifications for leaks, when paired with automatic water valve controllers the system itself can turn off water to the house before any damage occurs, all without you lifting a finger. For me, that is the essence of Home Automation and there isn’t much better about shelling out a few bucks to save potentially thousands in water damage. Players in the smart sensor field are Fibaro, Dome, Elexa, Aura, Nest, Samsung SmartThings, Home8 and MYNT. Is Smart Home Security Really Secure? 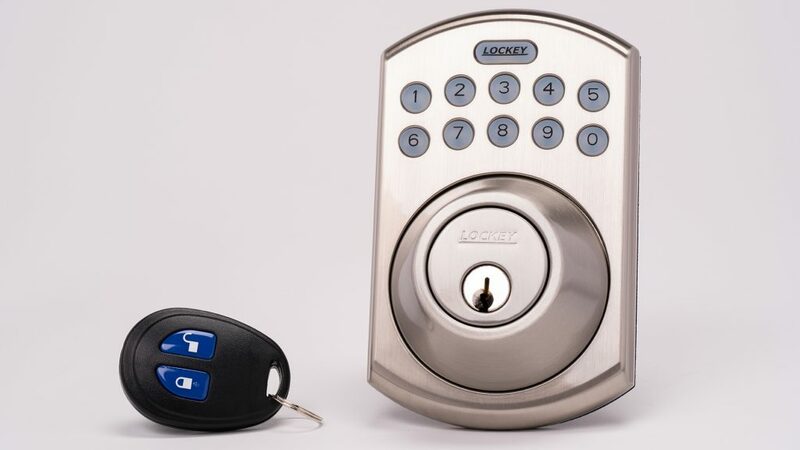 One thing anyone shopping for Smart Home security products will run across in their hunt is the claim of “bank-level encryption”, usually preceded with something like “128-bit AES” or “256-bit AES”. To the casual reader, any device with bank-level anything sounds pretty legitimate, even without proof to back it up. Herein lies the problem; since the average consumer doesn’t have the ability to crack the product code or hack the device, customers rely on the companies to provide accurate data about their security methods. Being that cybersecurity is a massively important topic and the more devices brought online results in an inherent greater threat to security, it’s important to know just what these devices are bringing to the table in terms of digital protection. According to an article by Best Company, the standard level of encryption for banks is 256-bit AES (Advanced Encryption Standard). What that means is that data with this level of encryption has been encoded with 2²⁵⁶ possible combinations that hackers would have to sort through in order to decrypt your information (or 2¹²⁸ possible combinations for 128-bit encryption). While the standard is 256-bit, Best Company notes that your data is completely safe with either. At the end of the day, companies putting out Smart Home security products are highly aware of the sensitive nature of digital data on personal networks and most of them put forth a significant effort to protect customers. If you are concerned about the security practices of a company, a safe bet is to trust the tried and true brands that have been in the IoT space for some time. The companies with any “bank-level” encryption are clearly a safer bet from a password protection standpoint, though. 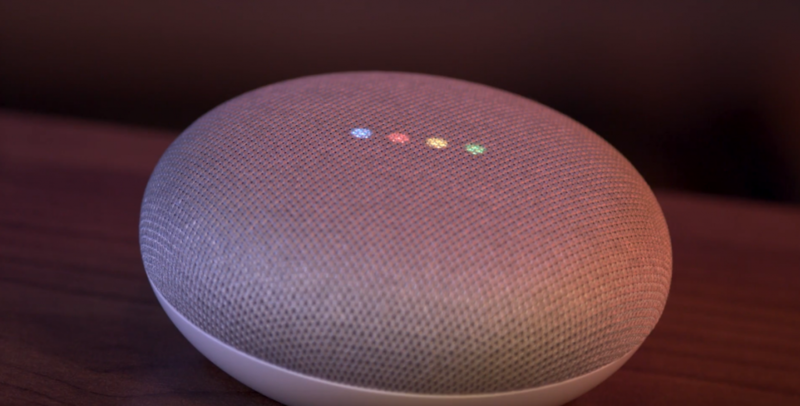 As it stands, the vast majority of connected devices on the market and those coming out all have either Amazon Alexa or Google Assistant compatibility, if not both. The same goes for devices in the security space, and when these devices are paired with a complete voice controller ecosystem ease of use can go through the roof. Smart locks, lights, plugs and garage door controllers can often be operated via voice control if compatible, and with the right equipment like an Amazon Fire TV cube or Google Chromecast, some surveillance systems can display feeds on the television with just a simple command. The Smart Home market is booming and is nowhere near slowing down any time in the foreseeable future. In fact, by 2025 the Smart Home security industry alone is expected to have a CAGR of 18.8% between now and then, having topped $670 million in 2017. Even if you aren’t a big fan of Smart Home tech, it is definitely something to keep an eye on that will be part of the mainstream culture before long. Things like analog TV signals, incandescent bulbs, and pre-smartphone cellular phones all existed as the top-tech at some point, and now they are forgotten remnants of the past. This new wave of truly innovative and helpful connected home tech puts the power in the hands of the consumers and marks the future of technology where devices can function on their own with one another for a greater human benefit. So why should you care about Smart Home security tech? Before long I’m certain we will all be interacting with smart devices on a daily basis, and even now new homes and apartments are being constructed with smart thermometers and lighting options to being the connected home closer to the mainstream. Who knows, there may even be a time in the not-so-distant future where we forget what it is like to not have complete visibility and complete control over our homes from anywhere. My money’s on that day coming sooner rather than later, and connected security devices will pave the way to that future. Smart Home security has become the most important segment of Home Automation and encompasses all the most important parts of keeping users safe. But there's an important reason to pay attention to this market even if you don't have a Smart Home.